Showing results for tags 'private region'. Full 20k prim region for rent, 14kL per week includes all owner/EM rights. Interested? Contact Stevie Basevi inworld. Full Sim for Sale. Beautiful private island location. No lag. Sim 20,000 prims. Not grandfathered. 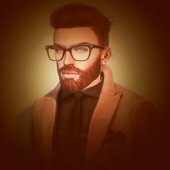 Sim Tier paid until March 03, 2018. All offers considered (over $100 transfer fee) Serious Inquiries only please. Contact me anytime via Notecard. Thanks for looking! I have been looking into getting a private region setup right next to mainland, however the current CLPP (Community Land Partnership Program) requires a minimum holding of 10 regions, while I plan to have more than just one private region, having 10 regions setup all at once is kinda ludicrous, I mean, not everyone wants to run 655,350 sqm of land, even the more well known mutli region cities ie Insilico is only 4 sims in size. Nothing against the fees included but I think the technical requirement aspect of it is out of scale, it's still living in the 2000's era where land is scarce, should LL lower the bar in terms of minimum regions required? Design your Dream Waterfront Grass or Beach Oasis! Hello! I am looking to buy a full region pretty quickly. Please contact me inworld, lillbit resident, or by email ruthiesessentials@gmail.com with any offers! I would prefer a grandfathered region but am open to any! Hello everyone, I´m currently looking to buy a FPS. I would be interested in offers with GF status and also none. Please send me best way a NC in world (with your serious offer and tier date) in case I might be offline! Thanks in advance! Bought a private region - when will I get it? Title pretty much says it. Bought a full region directly from LL today around 3 SLT. I also read the Wiki: Emphasis mine. Its been well over four hours and nothing. Everything was green on the status page as well when I bought it. How long does it usually take? Hi there! If you have a private region for sale, please contact me. I am looking for Grandfathered/Bought down regions only. Thank you! Please either contact Kira Paderborn or Enticestore Resident inworld. Good day all, I'm looking for some suggestions to hunt down whats causing our region map to be a solid green/gray color. I had read that certain sim surrounds can cause this and have since then removed it from the sim as a precaution (although the surrounds maker insists that it should not be the cause). That been said it seems it did not help with the issue. I have tried looking for giant mega prim too and that doesn't seem to be the case either. As for scripts ? i have looked and no script is demanding an excessive amount of memory so I'm drawing a blank. If you have any suggestions on tracking down what could the possible cause I'd greatly appreciate it. Regards, Nickel Silver Dragon Resort. Hi there! If you have a private region for sale, please contact me. I am looking for one to buy. Thanks! Please either contact Kira Paderborn or Enticestore Resident inworld. Silver Dragon Resort Estate | Prices Starting at L$500/week ~~ Welcome! 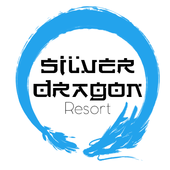 ~~ We'd like to formally announce the opening of a new furry and fur friendly sim the Silver Dragon Resort, A great highly detailed tropical sim with an Asian flair. Come join our community and have fun in the sun, surf and sand. Resort Offerings Sprawling Beaches Club house and events plaza Pools and hot tubs Enjoy the surf with fun inner tubes , (couples and party tubes available) Our short stay bungalows ( private rooms ) Wide selection of rental parcels offering stunning beach and sea views to ones nestled in and about the tropical scenery. Resort rental pricing 1024 m - L$500/week 2000 m - L$1000/week 4096 m - L$2000/week ~~ Opening Party! ~~ We will be hosting a opening party on the evening on Saturday the 15th. We would like to Invite all whom are interested. We will be offering a great special on all our long stay plots of an extra week when you purchase 4 weeks in advance! Where:Silver Dragon Resort Events Plaza Time: 2pm SLT - 7pm SLT Theme: Beachy/Relaxed Regards, Nickel. Silver Dragon Owner. I am not charging anything for the sim. There is a 100 usd transfer fee from LL that will be required but that is it. This sim is NOT yet grandfathered but can be if you so choose. The last tier was paid on April 11th. It is a full 30000 prim region. It is available immediately so if you are interested please act quickly by either responding to this message or email me at zzoie.zee@gmail.com Thank you! Sadly I am going to have to leave SL for RL reasons. I have a private region that is available and I am not asking for any payment other than the 100 usd LL charges to rename and relocate, and transfer the land to a new owner. Last tier was paid on April 10th. Please either reply to this post or email me at zzoie.zee@gmail.com if you are interested. THANKS!